Accessible also by train, Kandersteg, in the heart of the Bernese Switzerland, located about 1,100 meters above sea level, is the best the country can offer in terms of landscape, leisure and hospitality. Perhaps not everybody knows that Kandersteg, prior to being a location suitable for tourism in both summer and winter, is a world famous resort for the fact that houses one of the most important Scout Movement centers in the world, which annually attracts hundreds of thousands of young people from all continents, in a chalet where also the founder of the movement, Baden Powell, has been hosted. 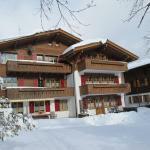 As regards leisure & sports, the resort offers easy access to both ski resorts Oeschinen and Sunnbuel: the first has 9 kilometers of trails, suitable for anyone who is still learning this sport, in addition to a tobogganing slope, available also in the evening. Higher up, the ski region Sunnbüel, located at 2,000 mt, offers a difficult black run downstream, while upstream, in the sunny valley, there are 6 km of quiet ski runs for skiers who like to relax in natural surroundings. Kandersteg can be the best starting point also for those who love cross-country skiing, which can be practiced along the river Kander, between forests and plains, or again on the plateau of Sunnbüel: we are talking about 57 km of slopes , located at the bottom (1,200 m) as well as at higher altitude (2,000 m). Shaded areas and well watered are then the ideal combination for the formation of ice falls, which may be climbed by more or less experienced climbers, and are located in Oeschiwald, Sunnbüel, Gasterntal, Giesenen and Oeschinen. 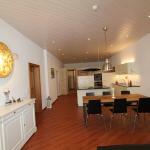 Because of the wide tourist offer, hotels, apartments and B & Bs are available all year round in Kandersteg. The Waldhotel Doldenhorn is a luxurious 4-star hotel in Kandersteg with a spa and a cozy living room with fireplace to relax after a day on the ski slopes. 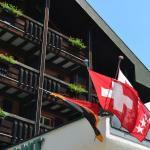 Hotel Victoria Ritter is a charming 3-star Alpine style hotel that awaits you in Kandersteg. 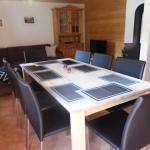 The property is located in the heart of a beautiful park and is not far from the ski lifts and numerous hiking trails.